Among the many things I don’t understand is why so few people from Las Vegas are visiting the rest of Nevada. Of course there has been a mainline connection between Las Vegas and Los Angeles since the days of the Santa Fe Trail, but wouldn’t you think simple curiosity would propel some small percentage of the population north and east instead of south and west? There is some travel from Las Vegas up US 93 to Ely, but most of it takes the Sunnyside cut-off to save a few miles, and misses out on Caliente and Pioche. 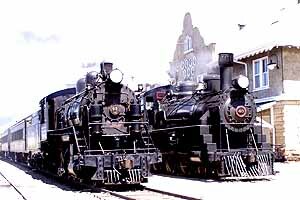 So when I got an inquiry from a Las Vegas family wanting some suggestions for their upcoming weekend excursion there, I couldn’t hold back: Caliente was a division point for the railroad, and scheduled to be developed as the ‘new Sun Valley’. That never happened, but there are a handful of State Parks (rated from good to wonderful) and the somewhat ghostlier mining city of Pioche — once the toughest town in the west — to enjoy nearby. 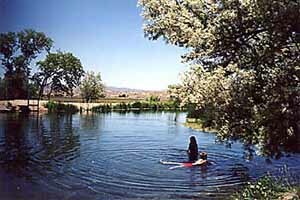 And here’s something you might not find for yourself — in Panaca there’s a fabulous warm water pond open to all. Drive in off US 93 on Nevada 319, which becomes Main Street of this little Mormon town, and take a left on Fifth Avenue. You’ll drive north almost a mile before you see the pool on your right. 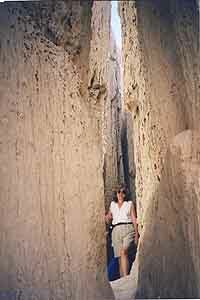 Cathedral Gorge is a small miracle, and if you bring a camera you could spend the whole weekend here. Plenty of parking, no admission fee, open to all. What could be simpler and sweeter than that? Now that I think about it, this is probably one of the few vestiges of the Old America that you’ll see in the modern world — not just the warm water swimming hole (it’s in the mid-80s), but the philosophy behind it. You should visit all three towns there on US 93, plus Cathedral Gorge and Kershaw-Ryan State Parks, following your own interests and impulses as you go along. 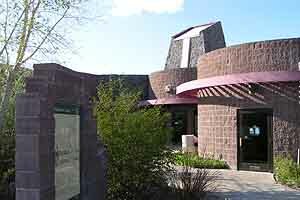 There’s a visitor center in the Caliente depot to give you some more ideas and information. Returning from the California community of Cedarville recently, we stopped in at Planet X (8 miles west of Gerlach on Nevada 447) and found some changes since our last visit. More flowers! 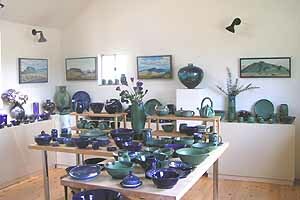 And potter John Bogard has moved his interest in painting from cups, bowls and platters to actual canvas. Planet X is eight miles northwest of Gerlach on Nevada Highway 447. His paintings of the desert are proving popular. Solar power makes this little oasis go. Meanwhile, a coal-burning none of its electricity will be available locally). All the energy Planet X can generate is going into the fight against it. 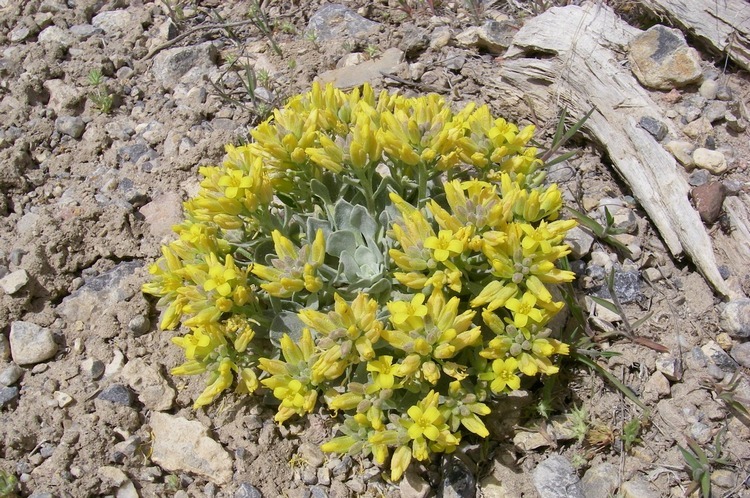 Cedarville is at the northwestern rim of the Great Basin, at the eastern foot of the mighty Warner Mountain Range. When we visited it was riotous gardens, sunny blue skies and the great green expanse of Surprise Valley. 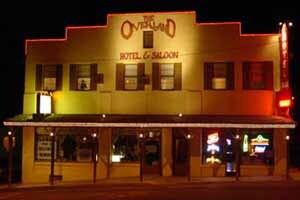 We went so far as to climb bravely out of the Great Basin altogether to Alturas, which is the Modoc County seat, and worth a visit if only to visit the magnificent Niles Hotel. Beginning July 4 steam trains of the Nevada Northern will provide daily passenger service into September, when service reverts to weekends-only again. A series of e-mails resulted in the desired information (There are corrals at the north-east end of Hawthorne, and feed can be arranged if needed). The new Nevada Magazine is out, and among other interesting things it contains a story about the Gottlieb mural at the Yerington Post Office, and brings to light the forgotten work that local artist Billie McGowan submitted for the 1939 project. Gottlieb became a major figure in the New York art scene of the ’40s and ’50s, McGowan’s work was forgotten until its discovery two years ago in the attic of the family home. Personally, I like hers better; Get the magazine and see what you think. 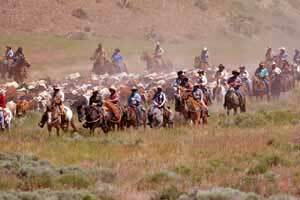 The 5-day cattle drive preceding the Reno Rodeo prompted these heartfelt messages from the ‘amateur’ buckaroos who paid to go along: “Dear Friends and Family- I have had one of the most wholesome and fulfilling experiences in my life!” R.C., Reno . . . “Grandma is a real cowgirl now! I have rode hard, pitched a tent, herded cattle and even seen a snake! Very hard physical work, but the trip of a lifetime!” P.J., Folsom CA . . . “Peaceful, relaxing, helpful, friendly people. Great scenery. 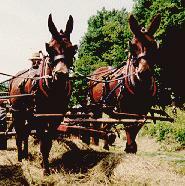 Excellent way to start our marriage.” N.C., Danube, Minn.
Of course I am proud to help passing mules find a corral for the night, even though it`was the folks in Hawthorne who did all the work. Quick notes from beyond the mountains: . . . Scenic Airlines has now doubled its flight schedule to Ely from one a day to two . . . Carson Cityand Carson Valley have established a website devoted to summer bargains to be had in these beautiful places. Great offers ranging from discounts on lodging, dining and merchandise, to free slot play, to special golf packages and more. Check it out. . . There’s an In-N-Out Burger in Laughlin now . . . Remember the item last time about volunteers being sought in Virginia City to dress up in historical outfits and engage the tourists in conversation? Well, they’ve taken that idea one step further in Las Vegas. At Madame Tussaud’s Wax Museum (take the moving walkway from Las Vegas Blvd. toward The Venetian, you can’t miss it), actors made up like wax figures mingle with the exhibits and scare the fantods out of people. Actually, it’s more structured and theatrical than that, but I get the chills just thinking about Jack the Ripper, blade in hand, floating imperceptibly nearer. Run for your life! . . . Another interesting aftermath of a long wet spring: Northern Nevada is having a notably heavy year for rattlesnake encounters, mostly brief, so watch your step . 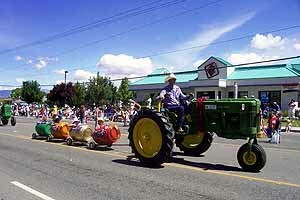 . .
Carson Valley Days is a family-oriented small town festival, a full day’s enjoyment in the open air. If you missed it this year, plan to be in Minden in 2006. Last minute reminder: “Bluegrass on the Comstock” is scheduled for the July 15-17 weekend with a Saturday schedule (10 am – 8 pm) of traditional music, including Too Tall for our Hair, Cool Rover Trio, Tim & Linda Gorelangton and other performers of note, and then a 2-hour Sunday Morning Gospel Session from 10 to noon on Sunday morning, all at Miner’s Park in Virginia City. 775-882-6013 for info . . . Or plan ahead: The first ever Reno Tahoe Blues Festival, featuring Gladys Knight, Etta James and the Blind Boys of Alabama, will be held August 13 and 14, at San Rafael Park in Reno . . . I’m told that in Las Vegas people eat more than 60,000 pounds of shrimp a day (11,000 tons a year), more than all the rest of the USA combined.